Susan Erasmus (right) with successor Karlin Nel (left). It is with sadness but great appreciation that we say goodbye to our head winemaker of 12 years, Susan Erasmus, at the end of August. We look back at Susan’s tenure with fondness, and while her parting is an enormous loss, we are grateful for her long-standing commitment in establishing Vrede en Lust as a sought-after super premium wine brand, and wish her well as she spreads her wings in the industry. 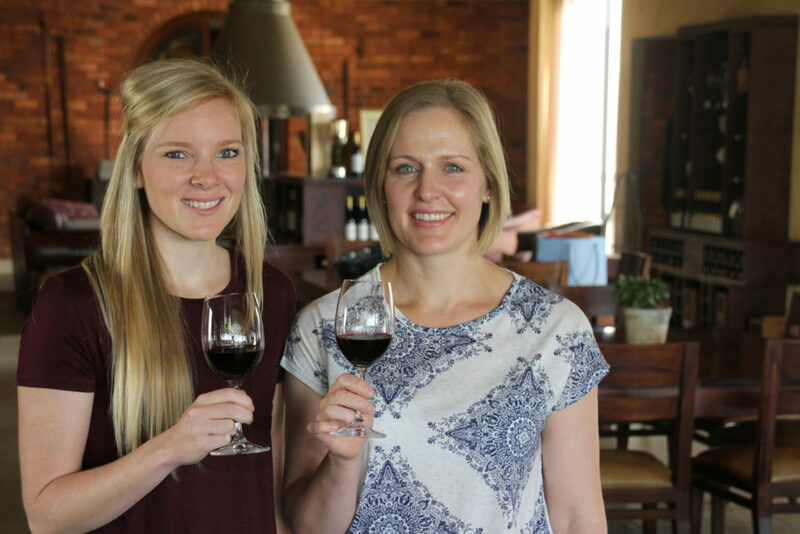 Susan was only 26 years old and starting out on her winemaking journey with big aspirations when she took charge of the Vrede en Lust cellar in 2006. Coincidentally, her assistant until recently, Karlin Nel, who now takes over as head winemaker, is also a youthful 26. Susan has experienced many highlights during her time at Vrede en Lust, notably when she received the Woman Winemaker of the Year award for her maiden vintage Viognier 2007. Yet she will be the first to tell you that winemaking is a career that keeps one humble – no two vintages are ever the same and every harvest brings its own unique challenges. “As a winemaker it is important to ultimately know your vineyards and trust your instincts,” she says. Go well Susan and best wishes for the future, your legacy at Vrede en Lust will be treasured. Totsiens Susan,Dankie vir die lekker wyne.Voorspoed op jou nuwe pad. Congratulations Susan, for taking the brand to where it is today. I wish you continued success in the years ahead.